Earn $5.19 in Rewards credit. Click to learn more. 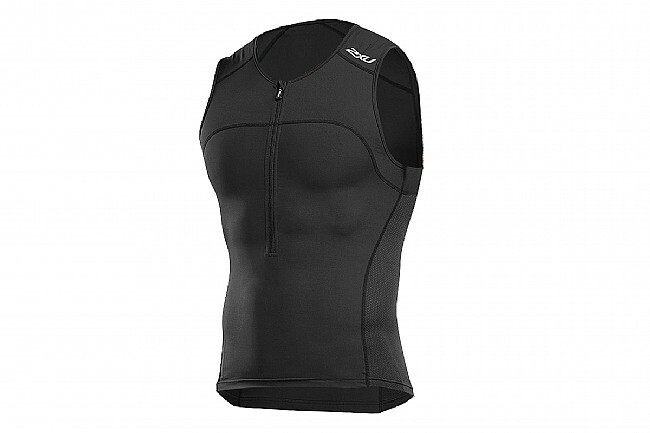 The 2XU Men’s Active Tri Singlet is a sleeveless top designed specifically for competing at triathlons of any length. Constructed from 2XU's SBR SKIN X fabric and HI FIL MESH, the Active Tri single delivers lasting, supportive compression, moisture control, and thermoregulation. These fabrics offer sun protection, too – UPF 50+ for all-day protection while . The full semi-lock front zipper and 2 rear pockets offer practicality and versatility. 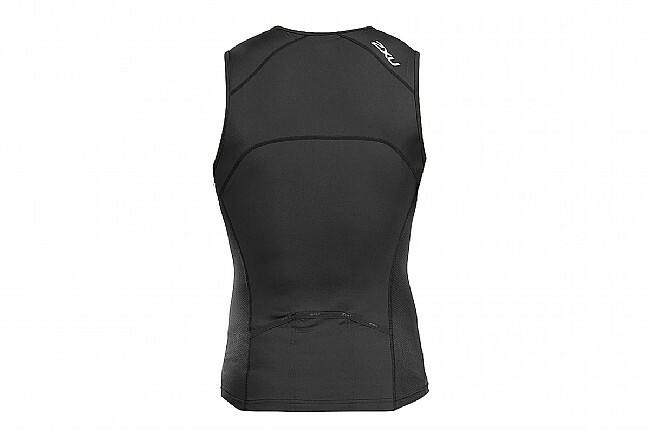 Sleeveless tri-specific top delivers supportive compression, moisture wicking comfort, and thermoregulation. 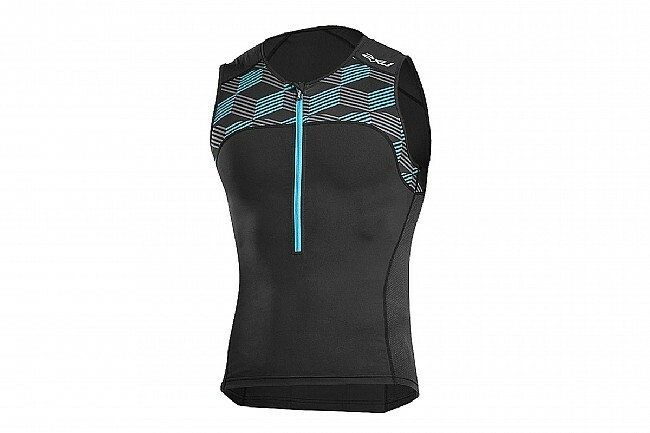 Half-length zipper for adjustable breathability. SBR SKIN Lite is engineered for lightweight performance with outstanding moisture management. HI FIL mesh panels wick vapour from the inner to outer layers for superior breathability. 2 rear pockets for optimal storage. Chest 31"-34" 35"-37" 38"-40" 41"-43" 44"-47"